Programme: Find out more information in the conference programme here. 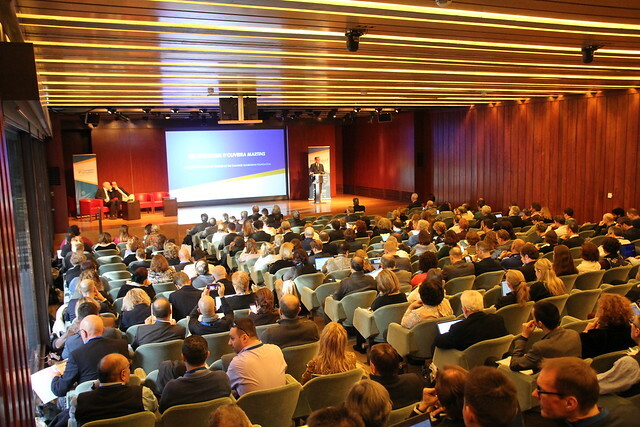 Every year, European Schoolnet organizes its annual EMINENT conference, an expert meeting in education networking bringing stakeholders from across Europe together to discuss the next challenges and potential solutions to ensure an innovative education for all. EMINENT 2018 was dedicated to New Models for Developing Teachers' Competences. The topic is of high interest to our member Ministries of Education across Europe, who voted it as this year's focal issue. Developing our teachers' competences is crucial, as they are the key agents of change and can drive innovation in the classroom, to benefit all students. During the conference participants had the opportunity to explore and discuss with experts and colleagues about new trends in online teacher training models, and tackle questions such as what are the most effective forms of online professional development, and how can we successfully assess, recognise and certify it? Innovative case studies from our member countries were showcased in order to share best practice, and discuss collaboratively about challenges and solutions. Delegations consisting of representatives from our member Ministries of Education from more than 35 countries, as well as our industry and project partners from across the education community were present. Participation to the conference is upon invitation only. However, there will be ways for all our valued stakeholders to participate, so check here for updates that we will be posting in due course. Round table: "How to Assess, Certify and Recognize Learning in Open Online Teacher Professional Development".